This post is a continuation of our guide to growing oyster mushrooms here. If you haven’t read it yet, please check it out first, as we go through a lot of vital information, demonstrating how to grow oyster mushrooms using old coffee as a substrate. You might wonder after reading our guide whether there’s a low cost alternative, one that doesn’t require you to buy spawn on the internet. The answer is: Yes there is. The pay-off may not be guaranteed, but it’s certainly worth a shot. 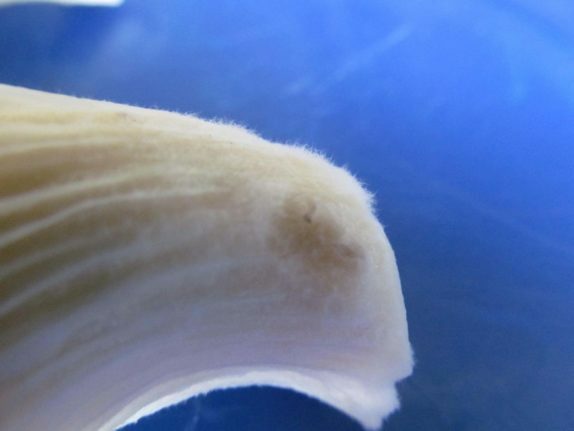 The next time you go out and buy mushrooms in the supermarket, find a mushroom that seems to have some white mold covering its stem. This white fungus may be some of the mycelium of that particular mushroom. This mycelium can be grown quite easily. I am growing mushrooms myself in coffee, using white button mushrooms I bought in the supermarket. If you look at the above image (click it for a full size version), you notice white threads expanding from the mushroom stem that I cut in four parts and placed on top of the coffee. These mushroom threads, are mycelium, the foundation of a mushroom growing operation. 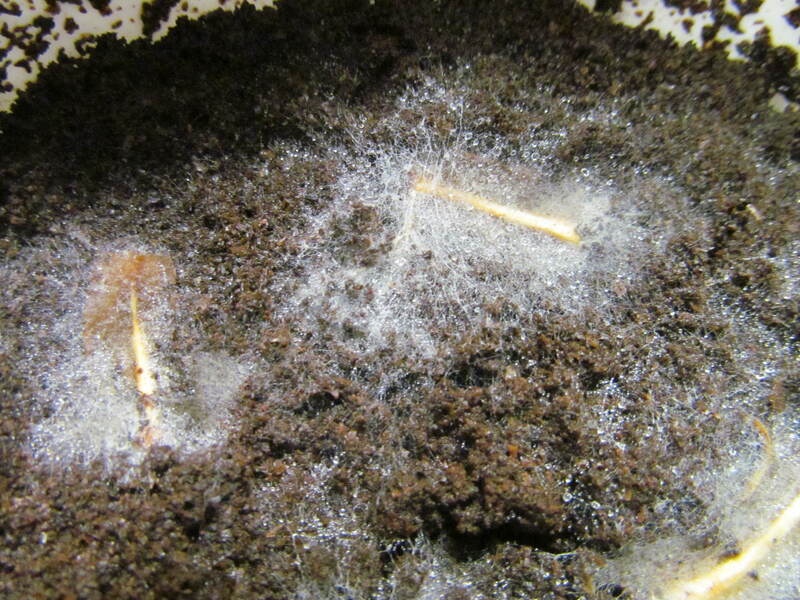 After enough time, this mycelium should colonize the entire coffee pot. The mycelium in this picture is currently growing at room temperature (22C), which is near the ideal temperature for white button mushroom mycelium to grow. 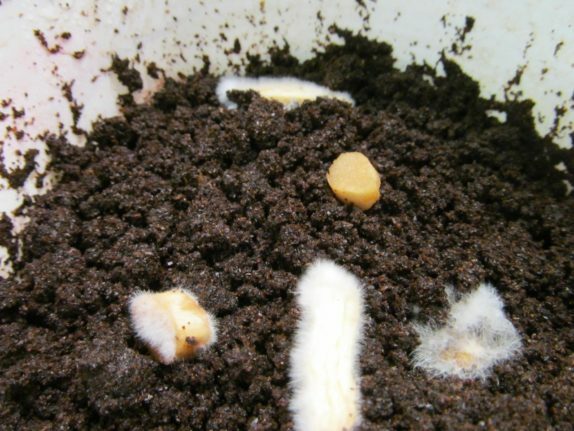 When it’s time for the mycelium to sprout actual mushrooms, the temperature should ideally be a bit lower, around 14-18 degree Celsius. That temperature is easily reached in my house, by moving the bucket to a room that’s not heated. We would have recommended this method right away, if it didn’t have certain disadvantages. The less living mushroom tissue you start out with, the easier it is to end up with a contamination. When your substrate is contaminated, you might see green mold growing, or you might not notice anything odd, as there are different kinds of contamination possible. If you can’t get it to work, that might take you a few weeks to find out. Hopefully you won’t let this discourage you from enjoying the pleasure and harvest of mushroom cultivation in your own home. Instead, order some oyster mushroom spawn on the internet and you will probably have a higher success rate than you would using the cheap cloning method. As your spawn is growing, you can always try out the cheap method again. 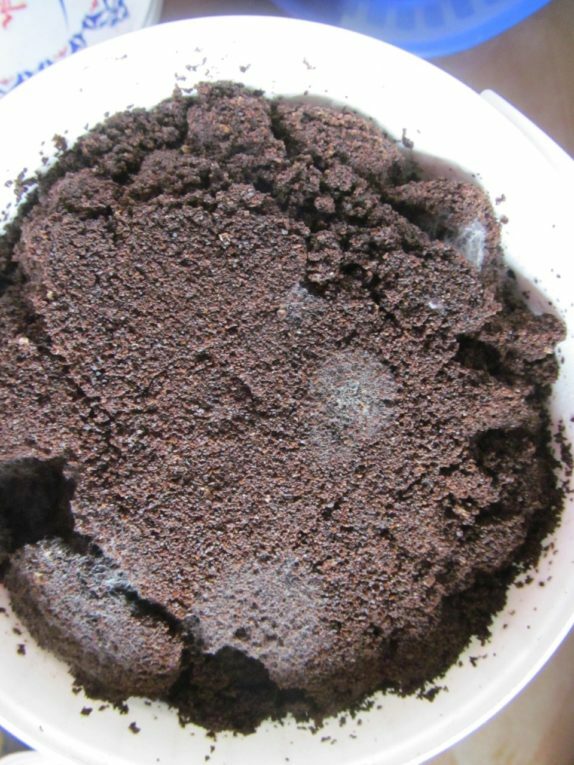 If you gather old coffee for quite some time, eventually mold might grow on it. Mold, is a living organism like any other and thus it’s not too fond of intense radiation. Your microwave can easily function like a sterilization chamber. First, scoop out the coffee that has mold residue, as the mold can produce substances that inhibit the growth of other fungi. Then, take a microwave safe container and place your coffee in the container. Place the container in the microwave and irradiate the coffee. Two minutes should be enough. You will get rid of most mold that plagued your coffee. Those are not creepy worms you see there digging in the dirt, those are pieces of the oyster mushroom’s stem that are rapidly expanding and colonizing their new food source. As you can see, not all parts of the stem that I cut off are equally successful. In theory, you should only need one to succeed however. What we want is for the mycelium we see to rapidly take over all of our coffee, the faster the better. What can we do to accomplish this? One great way is to allow carbon dioxide to build up in the container. It’s true that mushrooms consume oxygen, just like animals, but they don’t need a whole lot of it. Instead, these mushrooms benefit from carbon dioxide, which encourages the mycelium to expand. If we place them in a box that we don’t open, carbon dioxide will slowly build up, as the mushrooms consume their food source and produce carbon dioxide. Of course we’re curious, so what we tend to do is open the box. The solution to this is to get transparent jars! 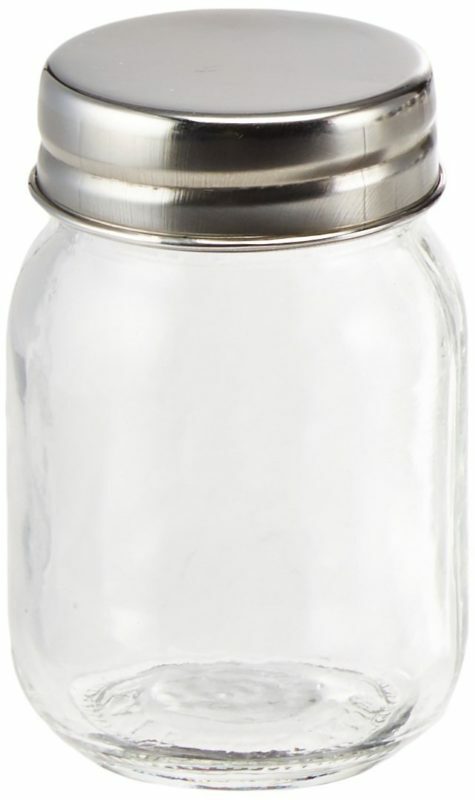 Here are some great transparent glass jars that you can look through to check up on the mycelium, without allowing your carbon dioxide to escape. When the mycelium has thoroughly colonized your coffee, you might wish to transfer it to another bigger container. Hi I live in the caribbean island of Trinidad and I want to try mushroom cultivation. But there are no one here doung this. Can you help me. I need some spawn. No one knows where I can get some.